As anyone who has experienced a urinary tract infection (UTI) knows, it can be painful and sometimes even requires hospitalization. The nurses at our agency recognized that many home care patients are at risk of developing a UTI. Therefore, we instituted our UTI prevention program in 2005. If a patient has had a previous UTI or exhibits any of the following symptoms, he/she will be offered the opportunity to be involved in this program: frequent urination, urgency, burning or pain on urination, dark color or foul smell to urine, incontinence. 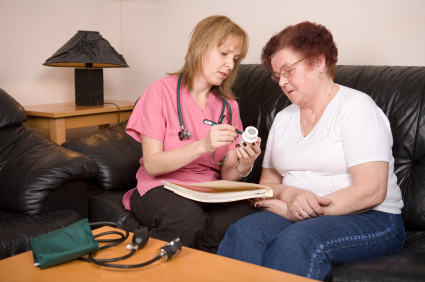 The home care aides are trained to report any of these symptoms. The nurse will call the patient’s doctor and may test the urine for signs of infection. If antibiotics are ordered, a repeat urine test is done within 5-7 days of completion of the antibiotics to insure the infection is gone. In the last quarter of 2015, an average of 125 patients were involved in the UTI prevention program and while 15 UTI’s were identified, no hospitalizations were recorded. We have noted an increase in patient/family participation as far as reporting of UTI symptoms or changes in the patient’s behavior. Not all patients have the same symptoms or textbook symptoms of a UTI. The UTI program educates the patient and employee to the possible signs and symptoms so that early intervention is possible. The program has been a learning and empowering experience not only for our HHAs and PCAs but also for patients and families. We are proud to say this program works!